From manual effort to machines, there has been no looking back for humans. In came the digital age and out went the last iota of doubt anyone had regarding the future of mankind. Business Analytics, Machine Learning, AI, Deep Learning, Robotics, and Cloud have revolutionized the way we look, absorb, and process information. While there are still ongoing developments happening in several of these advanced fields, business analytics has gained the status of being all-pervasive across functions and domains. There is no aspect of our lives untouched by Analytics. The mammoth wings of analytics are determining how we buy our toothpaste to how we choose dating partners to how we lead our lives. Business Analytics is interchangeably used with data analytics. 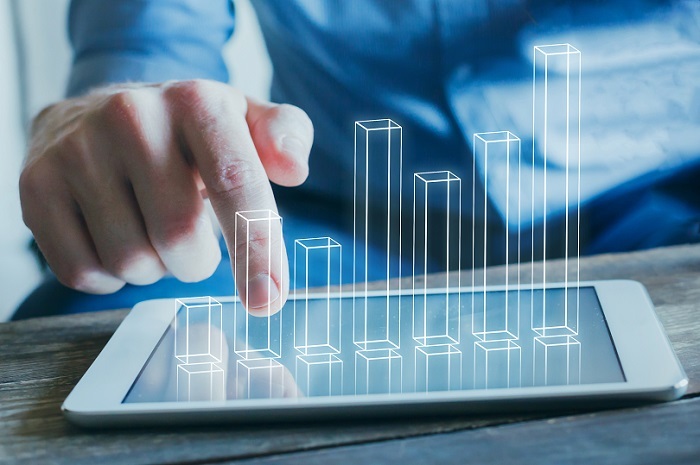 The only difference being that while data analytics is the birth child of the data boom, business analytics represents a coming of age that centers data insights at the heart of business transactions. Nearly 90% of all small, mid-size, and large organizations have set up analytical capabilities over the last 5 years in an effort to stay relevant in the market and draw value out of the insights that large volumes of data recorded in the digital age can provide. Professionals, on the other hand, are also in a rush to bag analytical roles for career success. So, what does it mean for aspiring analytics professionals? – Find opportunities within your own firm to move – Every mid to large organization is establishing its analytical capabilities and there are ample opportunities out there for people to switch. If you have experience with reporting or analysis or statistics or advanced excel, chances are that your leaders will be open to you moving on to a more complex role. In the beginning, you may have to juggle between your regular work and new analytical initiatives, but this is one of the easiest ways to get started. – Take up an Analytics Course – Learning things scientifically in a structured format helps you scale faster. Several options are available when it comes to Analytics courses right from MOOCs, weekend programs, hybrid courses (classroom + online) to full-time programs. While traditional full-time programs tend to promise the best results, hybrid courses and MOOCs are more suited to the learning needs of working professionals. – Get Hands-On Experience – A certificate or merely stating on your CV that you know analytics tools and techniques will not help you get through job interviews. What you need are ready projects on your resume to make an impression. Participating in online hackathons, free projects with public data, or solving analytics challenges by Kaggle or Analytics Vidhya will go a long way in giving you the confidence to make this switch. You Need Programming to Learn Business Analytics – A professional doesn’t require programming experience to learn business analytics as most of the tools and techniques are easy to use. Tableau, a data visualization tool, even has drag and drop elements that make it really easy for anyone to get started. That’s why Business Analytics has found such ubiquitous application in all domains and professionals from vastly different industries like BFSI, Marketing, Agriculture, Healthcare, Genomics, etc. find it to be a great career option and a natural progression in their careers. A good knowledge of statistics will need to be developed though. You Need Advanced Maths for Business Analytics – Business Analytics is based on the use of common human intelligence that can be applied to solve any and all industry problem. Hence, you don’t need Fourier series or advanced mathematical algorithms to build analytical models. Math learned till 10+2 level is good enough and can serve as a starting base for professionals in all domains. Also, unknowingly a lot of professionals apply math in their day to day work with excel and data interpretation so Math beyond the basic level is not a mandate to learn the principles of business analytics. A Business Analytics Profile Is All About Crunching Numbers – Number crunching or in technical terms – cleaning of data, slicing and dicing of data, converting an unstructured data set into a structured one is all part of the process. However, the profile of a business analytics professional is not limited by these functions. The essence of true business analytics lies in resolving business problems combining domain knowledge, client interactions, business sense, and basic human intelligence apart. Various business analytics tools and techniques like Python, R, SAS, Tableau, Statistical concepts, and building of analytical models are required to be able to apply for business analytics roles. A working knowledge of business analytics and business intelligence tools is a key differentiator for professionals competing for business analytics jobs. The relevance of data analysis tools is determined by the project and client requirements. Python, R, SAS, Excel, and Tableau have all got their unique places when it comes to usage. According to the Great Learning Skills Report 2018, SQL is the top requirement to excel in the field of data science, followed closely by Python and Java. Hadoop, R, and SAS have also climbed up the ladder to be amongst the top 10 skills required as per data from Indeed.com. Python – Python has a very regular syntax as it stands out for its general-purpose characteristics. It has a relatively gradual and low learning curve for it focuses on simplicity and readability. Python is very flexible and can also be used in web scripting. It is mainly applied when there is a need for integrating the data analyzed with a web application or the statistics is to be used in a database production. The IPython Notebook facilitates and makes it easy to work with Python and data. One can share notebooks with other people without necessarily telling them to install anything which reduces code organizing overhead, hence allowing one to focus on doing other useful work. Python offers several libraries for visualization like Boken, Pygal, and Seaborn which may, in turn, be too many to pick. And unlike R, its visualizations are convoluted and not attractive to look. SAS – SAS is widely used in most private organizations as it is a commercial software which also ensures that it has a whole lot of online resources available. Also, those who already know SQL might find it easier to adapt to SAS as it comes with PROC SQL option. The tool has a user-friendly GUI and can churn through terabytes of data with ease. It comes with an extensive documentation and tutorial base which can help early learners get started seamlessly. SAS has two disadvantages: Base SAS is struggling hard to catch up with the advancements in graphics and visualization in data analytics. Even the graphics packages available in SAS are poorly documented which makes them difficult to use. Also, SAS has just begun work on adding deep learning support while its competition is far ahead in the race. R – R is an open source software and is completely free to use making it easier for individual professionals or students starting out to learn. While several forums and online communities post religiously about its usage, R can have a very steep learning curve as you need to learn to code at the root level. Graphical capabilities or data visualization is the strongest forte of R with R having access to packages like GGPlot, RGIS, Lattice, and GGVIS among others which provide superior graphical competency. R is gaining momentum as it added a few deep learning capabilities. One can use KerasR and Keras package in R which are mere interfaces for the original Keras package built on Python. Tableau – Tableau is the most popular and advanced data visualization tool in the market. Story-telling and presenting data insights in a comprehensive way has become one of the trademarks of a competent business analyst. It offers a free public version but a paid version is required for those who would like to keep their reports and data confidential. Tableau is a great platform to develop customized visualizations in no time, thanks to the drop and drag features. Tableau can be easily integrated with most analytical languages and data sources and visualizations created are platform and screen-size independent. The downside of Tableau is that it comes with a cost especially for large enterprises and there are no version-control options yet.